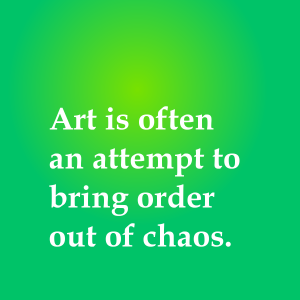 This interesting quote inspired some thoughts this morning. When what it is important to us ends, like life, a marriage, a meaningful job, or even dearly held hopes or dreams, the world can seem to be in chaos. We may feel that everything is falling apart and that our connection to what is real is broken. 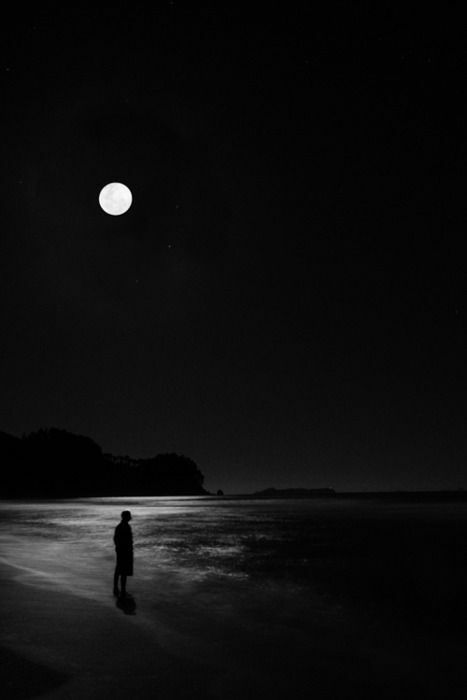 We feel lost and alone. In such moments it is really important to take some time be to choose to be apart, to separate ourselves from the daily grind, and affirm that feeling of disconnection. Ironically, it’s often by removing ourselves to a quiet place, and sitting in meditation, releasing all thoughts and concerns about the brokenness of everything, that we may experience in the peace something of the underlying order that is supporting us at all moments. At these times, intuition may open, giving us the gift of the supporting sea of consciousness, which eventually offers hints at new directions and possibilities—and a new emerging order despite the possibility we may go through a long time sitting with the pain of the chaos. 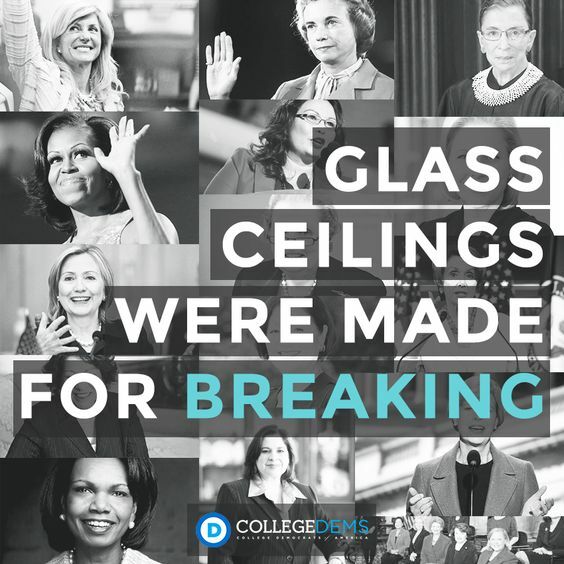 The Last Glass Ceiling to be shattered by a Woman? In the many years that I have been teaching dreams in my dream ministry practice I have had hundreds of women students but only a handful of men students. The men that I had in class were unusual in that they had highly integrated what I call the “feminine” side into their personality: They were very respectful of women and women’s ways of doing things, they were sensitive, compassionate and comfortable not being “in control” all the time, and they were very intuitive—often a trait attributed to women. In other words, they were the exact opposite of someone like Donald Trump. For much of Western history, when women had no voice, men like Donald Trump ran the show and were in charge of religions and nations. It is no wonder then that dreams and intuition were not respected as a valid form of awareness because these forms of consciousness require a certain passivity, a receptiveness to information that cannot be controlled—and the information received often runs counter to, and does not support, the practices of these male dominated institutions, especially when the practices are cruel and unjust. As a result, in the old days, it was often the highly intuitive women, the so-called “witches” that were burned at the stake. Even though many inroads have been made in allowing women to enter male environments, I have found that the ones who initially succeed are usually the ones that feel they have to act like men, and can outplay the men at their own game. 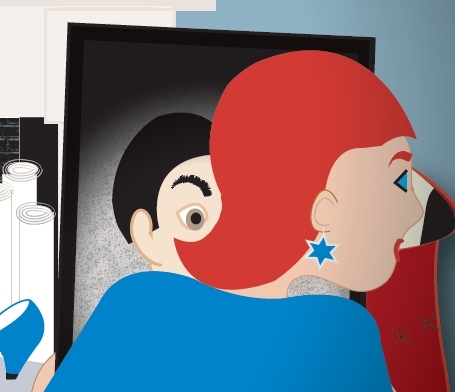 They can act overly rational, hard-hitting, cold and surprisingly inept at handling people. The women that follow can be more themselves when men get used to them being around or being in charge. Since Hillary Clinton has had such a hard time breaking the class ceiling of American politics, and no woman has even come close to entering the power structure of the Catholic Church, it makes me wonder that the very last glass ceiling to be shattered will be when a strong woman’s woman—one who is highly spiritual in a womanly way, and is intuitive and experienced in dreamwork and exploring the psyche—becomes the head a world religion. Just imagine what a new perspective she can bring! The animal-human relationship has had a big influence in human psychological development. One way this can be seen is the deep attachment and communication that can happen between a pet owner and the pet. Even with animals in the wild, humans have long looked on magnificent and tiny creatures and wondered at their various gifts such as speed, flight, cunning or strength. It is no wonder that animals often appear in our dreams or intuitive insight. Perhaps we are either being given, or given insight, into that animal’s energy to meet a particular challenge of the moment. It is no wonder that ancient people worshiped animals. They wanted the particular energy associated with that animal to face the tasks ahead so they called upon the spirit of that animal to help them. Even Jesus recognized the special energy that each animal exhibits. In Luke 13:34 he resonates with the deep caring nature of the mother hen as he compared himself to that humble bird who gathers who her brood under her wings. He could have compared himself to a grand animal of any sort like an eagle or a horse. Instead, he feels great compassion for his people and wants to protect them from the many dangers. Perhaps he is calling on this energy within himself for the tasks lying ahead for him. Notice when an animal appears in your dreams or meditation. Ask yourself what energies you associate with that animal and then ask why you might need this energy at this time in your life. As a follow-through, try to act with the energy of that animal to meet the challenge facing you. Class on Edgar Cayce Filled! Contact me for one-on-one classes. Recently on this blogroll I advertized a class I will be teaching this summer at the University of Hawaii Osher Lifelong Learning Center on Working with Dreams and Intuition in the Tradition of Edgar Cayce. 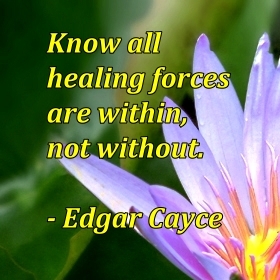 Edgar Cayce is considered by many to be the father of holistic medicine. This course will explore how Edgar Cayce intuitively diagnosed and healed, viewed dreams and intuition and show how his tradition continues today in the methods developed by the Edgar Cayce Institute for Intuitive Studies. In this workshop, students will explore how Cayce intuitively diagnosed and healed, and learn how his approaches are used today. 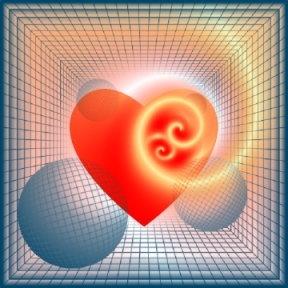 Participants should be willing to do suggested dreamwork methods and intuitive methods. This popular class quickly filled up and is now closed. However, if you would like to have a one-on-one class of two 50 minute phone or Skype™ meetings to cover this material, please contact me (Fran Kramer) at info@healingdreamgarden.net. Fee is $60.00 and can be paid by credit card at my website at http://www.healingdreamgarden.net. Handouts will be emailed to enrolled students before the first class session. the process for acquiring that information. 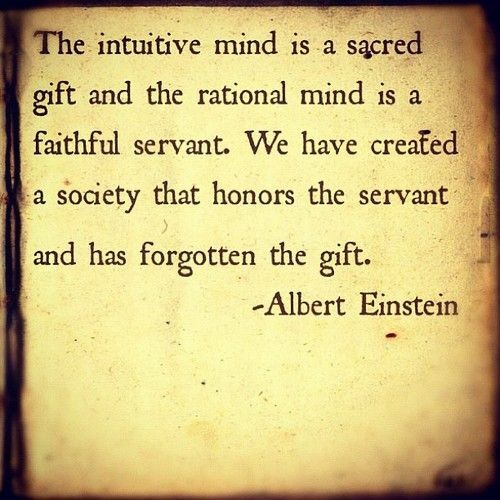 There are many reasons for this which can range from our society’s distrust of information that cannot be quantified in a scientific manner to the prejudices of our education and upbringing which didn’t teach us to be intuitive or actually discouraged us from trying to be intuitive. For example, many of us were told to not take dreams seriously, or were told to ignore a gut feeling that was gnawing away at us. If we are uncertain or ignorant about our interior resources, we most certainly will be distrustful of processes that claim to nurture or access those resources. It seems that people come to the awareness that they can trust their inner resources through some serendipitous event, a freely given grace in their lives. After such a significant event, people may begin to reflect upon the event because it has made such a significant impact in their lives. After a series of similar “inner knowings” coming at times when needed, people then begin to take their inner wisdom seriously. And only after all this, do they set about learning ways that can pro-actively access that inner wisdom. It is often a slow learning process. I am reminded of a comment one of my friends said to me the other day. She had been nervous about getting a scan of her head, wondering what the outcome would be. Just before the procedure she had an unsolicited dream which told her things would be fine, no doubt giving her more confidence when she went for the test. That indeed turned out to be the case! She was excited and happy to tell me what happened. She said, “I remember you said something like this can happen. 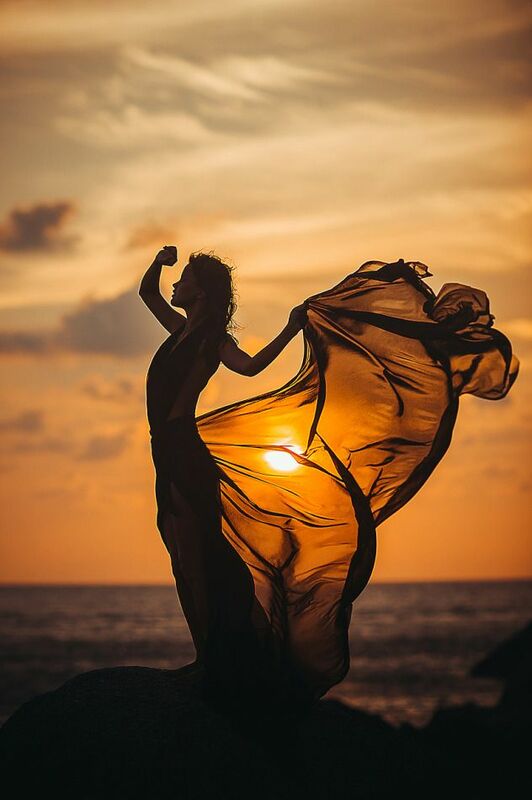 Now I know it can!” What was important to her was the discovery that her own inner wisdom could accurately tell her something she wanted to know. My telling her numerous times before did not make the initial difference. It was her own discovery that opened up new doors to personal awareness. What I told her was just another confirmation of the validity of her ability. This illustrates the importance of being open to challenging experiences, as she is, especially when it comes to developing a trust in our own inner wisdom. Now that she knew she had the inner resources, I reminded her she could access this information in a pro-active way (Dream Incubation) by requesting dreams that would answer specific questions to future concerns she might have. By the look on her face, I suspected she had some natural doubts about this happening but I have no doubt that eventually she will come to trust the process if she thinks to ask for a dream. Traditionally, and very generally speaking, one of the major differences between Asian and Western religions is that Asian religions emphasized inner development as the way to spiritual growth and the Western religions emphasized the need for social action such as giving to and standing on the side of the poor. That is not to say the opposite wasn’t true; but in the West you usually would have to go to a monastery or nunnery to get real guidance on the interior path and in the East there were socially minded activists but they tended to be revolutionaries rather than religious leaders. Being in a small spiritual reflection group where all were equals and that each person could support each other in an environment of respect. In such a group people could help each other to find their own unique paths. A religious leader would not be there to impose a doctrine or a set way, as is usually the case in Bible classes. Individuals would arrive at their own conclusions from materials read and discussed. Consistent and on-going dreamwork and intuitive meditation to understand the nature of one’s soul and its expression. Exercise and healthy food in the right combinations and portions as the best medicine. 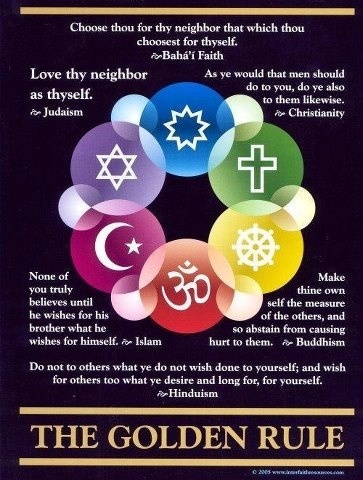 I personally think that mainline Christian religions would be wise to incorporate these practices into their religious education classes, appropriately modified for the age group of the persons involved. What is sorely needed is an approach that entails the development of an interior spiritual life that anybody can do. These methods work; and they bring a personal experience of God at the profoundest levels. Unfortunately, and as a result of how religious instruction is done emphasizing textual knowledge and an intellectual understanding of the bible, many Christians have to face a personal crisis that knocks them off their horse before they have this kind of personal experience of the divine. For the many who have asked, Ashlynn Acosta will be making her second appearance as the intuitive teen sleuth in Too Much of a Good Thing, a young adult mystery novel set in Gloucester, Massachusetts. In the intriguing story, our heroine deals with issues of hoarding, ownership, greed and possessiveness that lead to a crime. The problematic relationship with her single dad, a “just the facts” police detective, has healed through the challenges met and shared in Dead Men Do Tell Tales. Relishing this lively new connection with her dad, Ashlynn suspects any woman seriously claiming her father’s attention. When a beautiful redhead enters the scene, Ashlynn faces the need to solve a mystery in the midst of a budding romance between her father and this most surprising lady. Pressure builds when her buddy group divides into romantic couples and she is paired with a guy who evokes new feelings in her! She is overwhelmed by it all. Ashlynn’s very first date takes place as she tries to uncover the real mystery in the midst of too much of too many good things. Intuition and real dreamwork are the tools Ashlynn uses to help her understand and act on her new feelings as well as unravel the secrets in a mansion on a hill where a rich old lady has been found dead. In a Reader’s Guide at the end of the novel, you can learn more about the intuitive tools Ashlynn uses and learn how they can be employed to unlock your own mysteries and solve your own problems.